Located in the walled city of Bikaner, Karni Bhawan Palace is a heritage hotel that offers patrons a chance to experience the regal hospitality for which the state of Rajasthan is famous. The original building structure was home to Maharaja Karni Singh, Maharaja of Bikaner, from which the hotel takes its name. 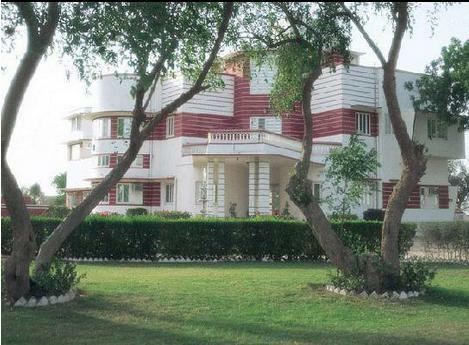 The building is built in typical Art-Deco style with Doric pillars, ornamental staircases and large windows that enhance the aesthetic beauty of the palace. 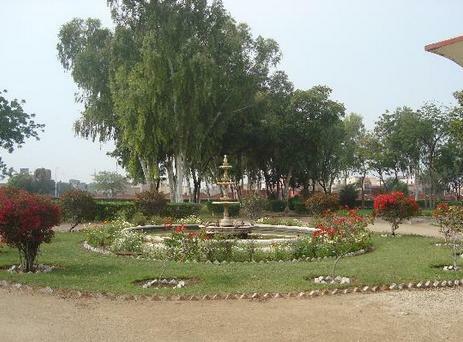 Vintage paintings and old photographs of royal men, women and building adorn the walls of this palace that transports you back to the time of kings and princes. 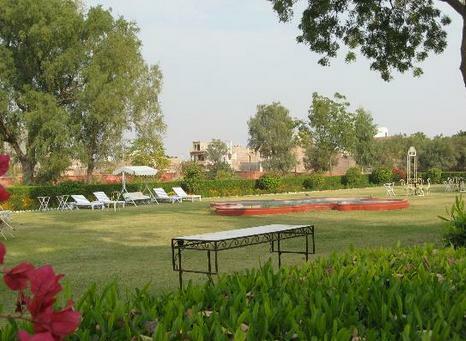 The hotel has two basic accommodation options to patrons to choose from i.e. 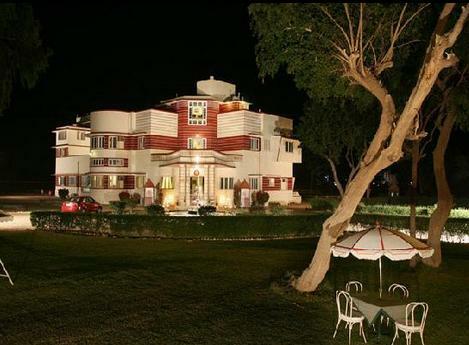 Art-Deco Rooms and Standard Rooms. 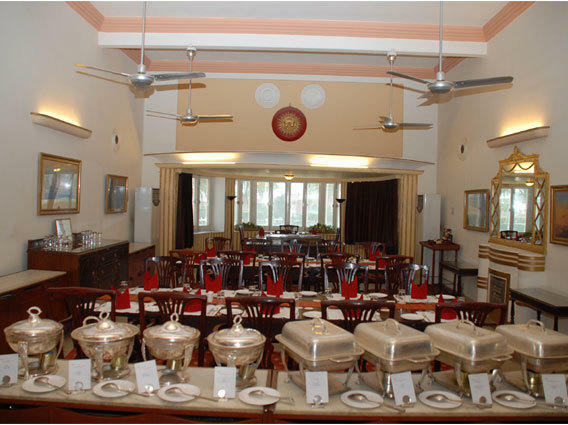 Karni Bhawan Palace has developed an in house restaurant by the name of Manwar, which serves authentic ethnic food along with other popular global cuisines. 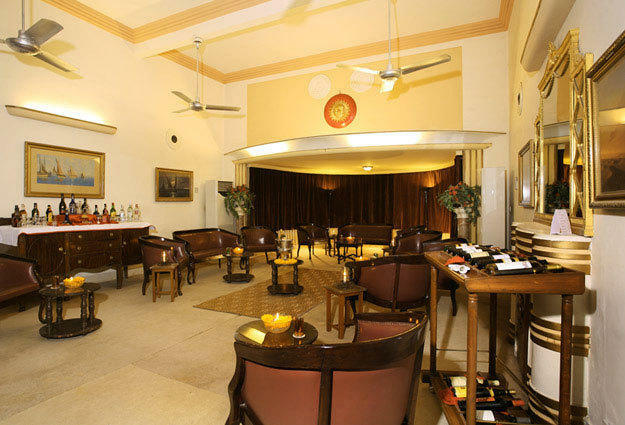 Patrons can also relax and unwind at the Maikada Bar, which serves liquor and other non- alcoholic drinks. 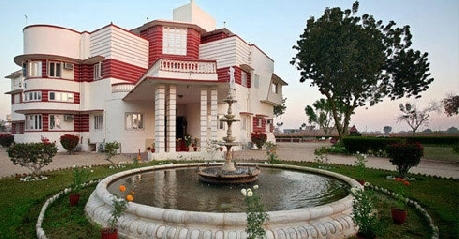 To further make patrons stay more memorable here, the hotel offers other services like travel desk, guide service, taxi bookings, car rental service, 24 hour currency exchange, doctor on call, high speed internet access, safely deposit lockers, crib and babysitting services, same day laundry and dry cleaning and many more. 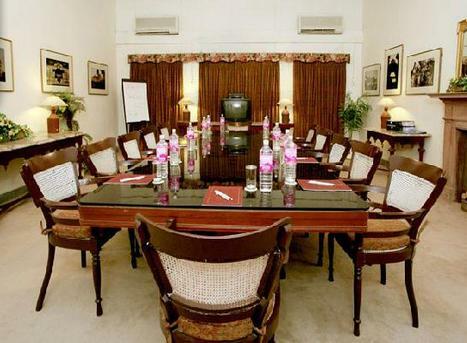 The hotel also boasts of great conference and event venues such as Committee room (seats 20 people), Rooftop open space (seats 60 people) and Palace lawns (seats 200 people). 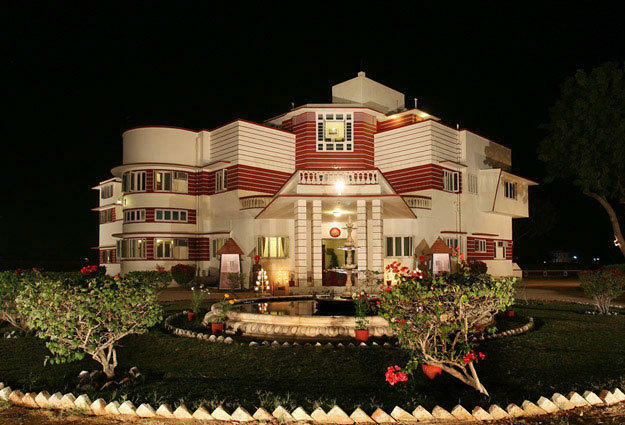 To give patrons a glimpse of Rajasthani culture and life, the hotel organizes camel and jeep safaris to sanctuaries and sand dunes as well as folk dance, live music performance and puppet shows. If heritage monuments impress you, then the Art-Deco rooms available at the Karni Bhawan Palace are perfect holiday stay option for you. These rooms are part of the original palace and therefore reflect the regal charm and aura that transports you to the time of Kings and Princes. 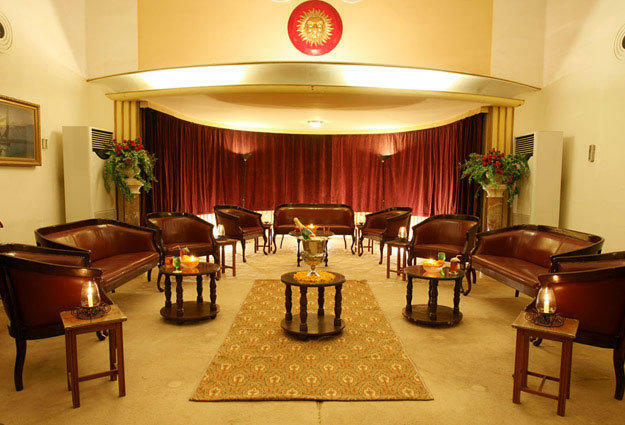 Be it Doric pillars, crafted windows or the antique furniture, everything in Art-Deco room is designed to compliment the royal architecture of the building. Equipped with all necessary comfort creatures and facilities, these rooms are sure to take care of each and every need of clients. The in room amenities and services include mini bar or refrigerator, telephones, hair dryer, 24 hour room service, 24 hour in room dining service, wifi high speed internet access, sofa unit, dressing room, satellite television with premium channels, hot and cold running water, room heater, air conditioning, tea – coffee maker, safety deposit box, bathrobes and daily housekeeping. 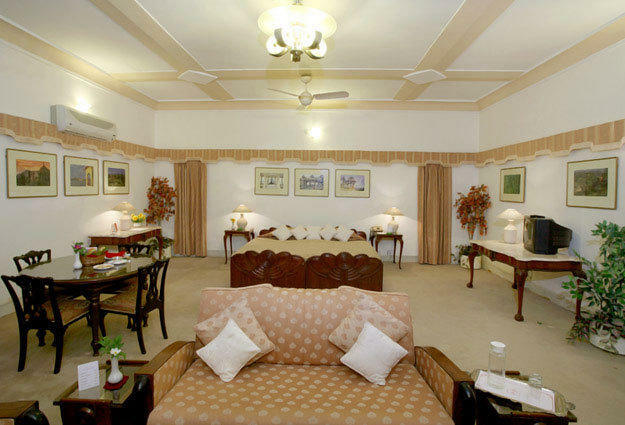 The host of features and facilities coupled with palatial décor makes these room ideal for luxury travelers and foreign tourists. 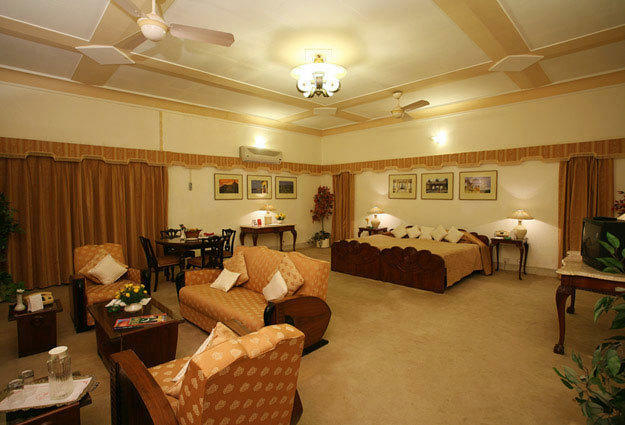 Experience the true royal hospitality by booking standard rooms at the Karni Bhawan Palace, Bikaner. These rooms are simple, elegant yet are equipped with a décor that compliments the palatial structure that they are part of. With antique furniture and crafted pillars and windows; the standard rooms have impressed both tourist and business class travelers. 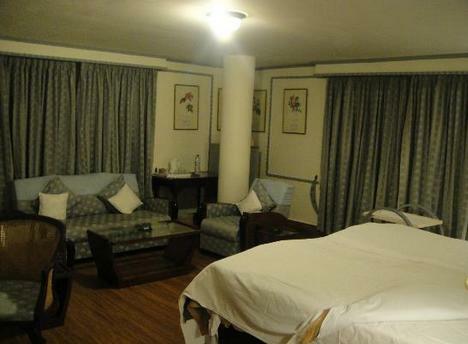 The rooms are equipped with hair dryer, color television with satellite channels, down duvets, down pillows, comfortable bed, dressing table, bathrobes, bathroom toiletries and safety deposit box to cater to every major and minor request of clients. 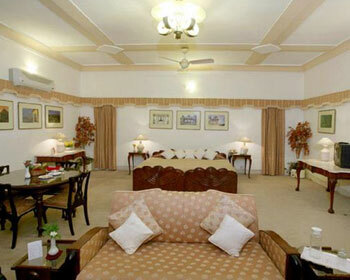 Karni Bhawan Palace in Bikaner boasts of beautifully appointed spacious rooms. 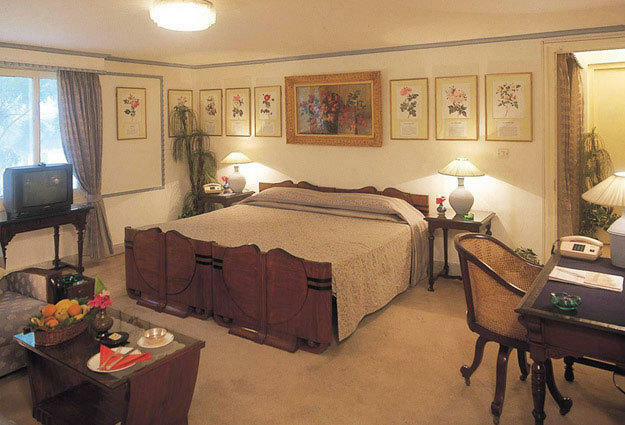 The rooms are very distinct from each other. 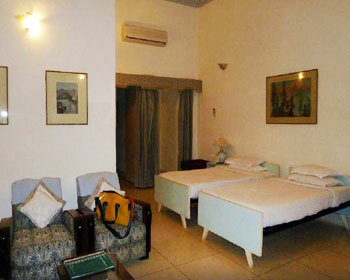 They are broadly divided into regular rooms and suites. These rooms are infused with an essence of their royal past depicted through various old pictures of the Royal House of Bikaner and Mewar which impresses guests tremendously. However, to ensure them contemporary comfort, these rooms have latest amenities like air-conditioners, international direct dial telephone, satellite television, mini-bar and tea/coffee making facilities. Taking the tradition of Rajasthani hospitality further, Manwar – the in house restaurant at Hotel Karni Bhawan Palace gives you a glimpse of culinary culture of Bikaner. Serving delicious delicacies from local Bikaneri cuisine as well as other popular global cuisines; the restaurant has earned name and fame for itself in the city. 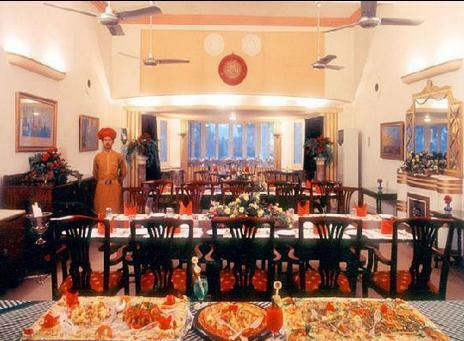 The royal architecture and authentic ethnic cuisine are the USP of Manwar Restaurant. Patrons are welcome to try local delicacies like Dal Bati Churma, Gatta Ki Sabzi and Pakodis and dessert options like Rasmalai and Kesar chamm cham. 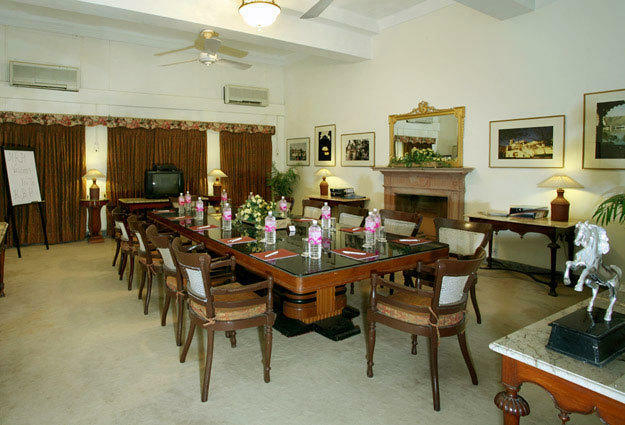 Warm hospitality coupled with regal aura of this eatery is sure to impress both local as well as foreign guests. 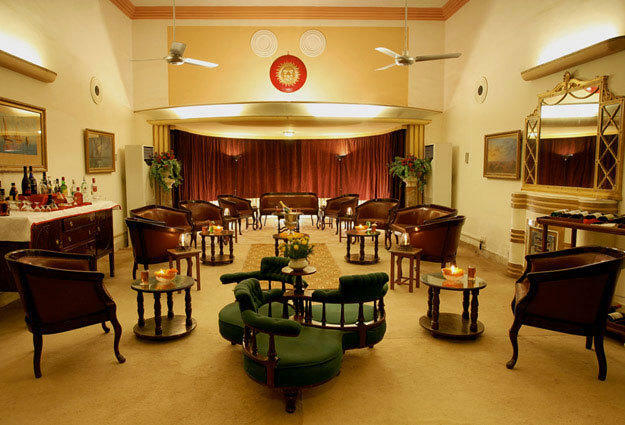 In mood to relax and unwind over a drink, then head to the Maikada Bar located at the Heritage Karni Bhawan Palace. 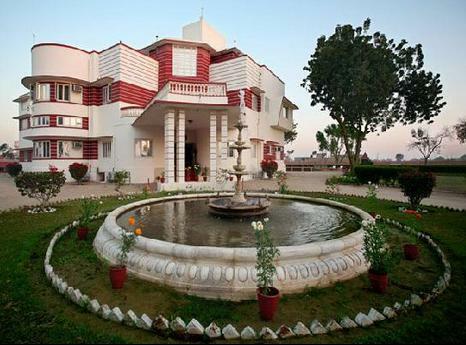 The bar is set in typical palatial style that adds to the majestic nature of the place. Patrons can find all the popular and rare brands of liquor here. Maikada also serves variety of cocktails, mocktails and other non alcoholic drinks to keep patrons in the right mood.